We’ve all had that teacher–the one who speaks in a monotone voice and reads aloud from the textbook. And we’ve all had the opportunity to not be that teacher. We’ve even had our moments, recognising that flash of interest in our students’ eyes, smiling as the bell rings because the energy is so high and no one wants the period to end. How do we extend these moments? How do we create an environment that keeps students stimulated and craving more? How do we have more fun? One study of student boredom suggested that almost 60% of students find at least half their lectures boring, with about 30% claiming to find most or all of their lectures boring. “Although a range of factors may contribute to these findings, they do prompt the question of what it is about the learning experience that might be deemed ‘boring,'” says Dr Sandi Mann, a senior lecturer in occupational psychology at the University of Central Lancashire. Mann and her colleagues found that students adopt a variety of strategies to cope with boring lectures. The most popular are daydreaming (75%), doodling (66%), chatting to friends (50%), sending texts (45%), and passing notes to friends (38%). Over a quarter of students leave the lecture at the mid-session break. One of the simplest and most effective ways to prevent boredom is to have fun yourself. If you are having a good time, chances are your students are too. In a 2002 paper called The Ripple Effect: Emotional Contagion and its Influence on Group Behavior, Yale University researcher Sigal G. Barsade separated 94 business students into small groups, each with the same hypothetical task of allocating employee bonuses. Barsade secretly planted one student in each group to act out a different emotion: enthusiasm, hostility, serenity, or depression. When the infiltrator was enthusiastic, he smiled often, looked intently into people’s eyes, and spoke rapidly. When he feigned depression, he spoke slowly, avoided eye contact, and slouched in his seat. Barsade measured participants’ moods before and after the exercise and found that students who caught the actor’s positive emotions were perceived by others and by themselves as more competent and cooperative. The positive groups also believed they were more collegial than those in the bad-mood groups. But when Barsade asked the students what influenced their performance, they attributed it to their skills. “People don’t realise they are being influenced by others’ emotions,” she says. And research shows that if you can put your students in a good mood, they will learn more too. So fun actually seems to promote learning by increasing dopamine, endorphins, and oxygen in the brain. 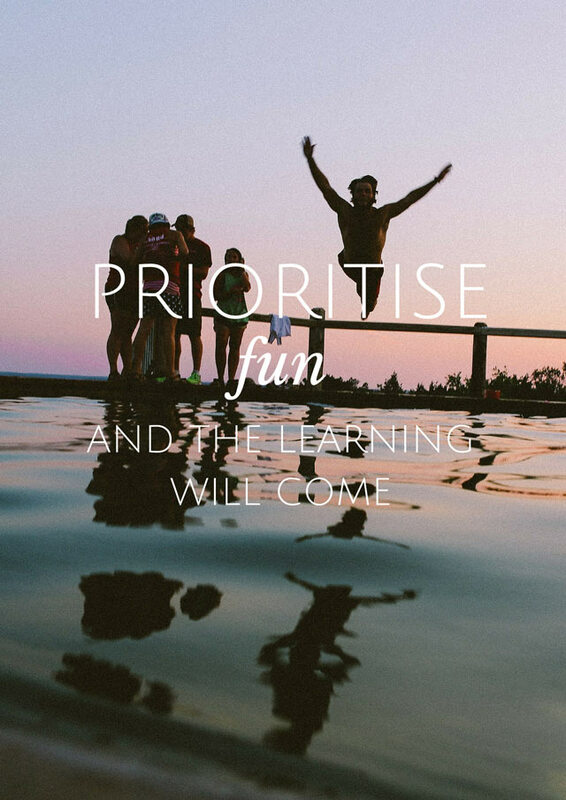 The question is, how can we make teaching more enjoyable for ourselves in order to make learning fun for students? It’s much more fun for both parties when students and teachers learn new things together. Your job is, of course, to educate, but why can’t that process include the joy of shared discovery? Make a point each day of letting down your authoritative guard, humbling yourself, and enjoying the lifelong journey together–even if it’s just for a few mintues. This morning I woke up with one thought in mind ‘I need to find inspiring ideas’. Your article has been precisely this. I work with teachers in Mexico and deliver training sessions to sales reps as part of my responsiblities in Educational Services. Appreciate your positive and straightforward suggestions. Dear sir , I am a former high school principal. But presently working among teachers to enhance classroom efficiency. I will love to exchange experiences with you. In my book, authenticity comes before presentation – though of course that’s crucial. As a youngster, I attended an evening class in electronics. The tutor was full of enthusiasm: “We could make a television together”. He began by blackboarding the schematic for a crystal radio. These contain four components, if you include the headphones and ignore the antenna. He found it necessary to pull a notebook from his pocket. D’oh! First, I forewarn my students that if we don’t get to cover every part of the text, that it will be okay, because we will have covered what’s important. The ‘interrupted teaching’ might start from a students comment about a news report, or event they witnessed the day prior. The flexibility starts when we unpack the event to see how it might relate to the course of study, and more often than not, it does! Some might view it as a distraction or rabbit trail, while I see it as an opportunity to take something that impressed the student enough to speak up in class, and connect it to the course. Hi like your thought on making the class interesting by doing different stuff to keep the students engaged. What do you think about when a professor have a class that she has to lecture on Tuesday and s Thursday but she do not come to class at all. The students have to look at a boring computer and read all the chapters and figured everything out themselves. If they have question with homework they just come to her office and ask questions. That is boring and none of the students do not like the computer lecture at all, they actually want to hear the professor in the classroom. What do you think? Wow, looks like I’ve been doing right after all all these years! Makes me even more enthusiastic about my teaching. Thanks for your suggestion about being a student and lto let my students grade me! I’m definitely going to try and find out. I love some of the ideas in this post, it’s so important to keep students engaged and keen to learn. Some of my best teachers were the ones who were a bit quirky and fun, whilst still conveying key facts. They were well respected and the class also behaved because they enjoyed the lesson. I recently heard that the students find my classes boring while I thought all this while that I was able to make them interested. Teaching for the first time makes things difficult at times, your article is an inspiration to pick up the pieces and work on making the classes interesting instead of feeling bad about myself. Thank you! Great article! I agree with everything. I’ve been a teachers assistant in Madrid for 2 years and the best teachers are self aware and interested in their students. They bring up relevent recent news which makes for beneficial conversation and understanding. When this kind of teacher enters the room you can feel the students energy liven up as they tune in attentively. THIS is insightful, human, good advice. Thanks for taking the time to isolate and give examples for each angle. This makes me feel like I’m on the right track. I wish that professional development courses went these routes. How to do a “performance,” how to emotionally connect, how to build mystery, how to review (not re-state), etc. These are the true teaching techniques that keep their heads up, hearts open, and minds buzzing. Thank you for reading, Adam, glad you found the post useful! I think that point 8 and 9 (Share your Passions and Laugh at Student’s jokes) will make students more free and over confident. So, It will become difficult to handle a class and Students would become careless in studies. 1. It really depends upon who your students are. Two different groups at the same school can be completely different, especially in how they will behave given the same stimuli. 2. If you have excellent classroom procedures and are consistent at implementing them, it can make all the difference. I have read your article but I don’t know how to make the learners who are not interested in learning to listen to you. I am a student teacher but I am struggling with classroom management right now. Please help. Quite inspiring. Sometimes students tend to receive your person before they want to receive your lesson. Thanks for taking the time. Thank you so much for all the bright lovely ideas you have shared i think its very handy to me…. Great article! I agree with everything. Makes me feel that I am a really good teacher. I feel I understand the psychology of my students. But it also depends upon the institution you are working with. If you are praised by your head, you feel more motivated and happy. But no matter what I do, our head won’t recognize my efforts though she understands and tells a few close to her that I am the best teacher but never on the face. But thanks for the wonderful words. Its inspiring and helping in recognizing our efforts. Thanks! Thank you for reading, Robin. Glad you found the article uplifting! Don’t look to admin for approval, you have to find it from within! First, I forewarn my students that if we don’t get to cover every part of the text, that it will be okay, because we will have covered what’s important. The ‘interrupted teaching’ might start from a students comment about a news report, or event they witnessed the day prior. I found this article useful and I agree with you that if we are enthusiastic, it will make the students more interested. However, I tried letting a student teach a small section of the course and in the evaluations, a student had written that I need to learn more about the material, especially about…. ( the same topic I had let the student teach). I mean we should be careful about letting the students get too involved, if they have this impression that you don’t know the subject, they lose interest. I agree with being available, felixibke and not taking yourself seriously as well, as long as you know the students do not take advantage of it. Thank you again, what I took from this was to make sure I have fun myself and start with a question and make them listen to find the answer. Hi Sue, thanks for your comment. I wouldn’t let one less-than-optimal experience stop you from involving students. In my experience, most students appreciate being given more responsibility and autonomy and respond with enthusiasm and respect. The point of flipping things and “playing student” is to help you be more objective about your own teaching, which certainly means considering things from a student’s POV, but not every student’s POV. Take what you find to be useful and leave the rest. I was loving the read until it came to number 13, and sorry you lost me there, I couldn’t finish. With all of the child safety concerns you need to completely revisit it. I have never under any circumstances seen there to be any reason for you to open up your home to students. Hi Peta, thanks for your comment. The suggestion is best suited for post-secondary scenarios, e.g. university professors teaching small classes or advisors and grad students. Agreed it’s a different story for K-12. Really very helpful information. This article had some very useful information. Definitely picked up on some strategies. Thank you for your sharing. First, I forewarn my students that if we don’t get to cover every part of the text, that it will be okay, because we will have covered what’s important. The ‘interrupted teaching’ might start from a students comment about a news report, or event they witnessed the day prior….. Thank you for sharing your experience. It’s very helpful to me since this is my first year in teaching and I have lot of things to know about. Thanks for reading and recommending, Arthur! The point of view that has been adopted and continued at my work for many years: the less teacher’s words during classes, the more interesting they are for students and – of course – better results and effectiveness for them. Hi! Thanks for your useful post. I have realised that, my students fail my lesson because they don’t know to speak the language used to teach them. Help me how to teach a spoken language, I want to help these students of mine. I found your article very informative. However, as a school principal, I have a problem with the last sentence in #13. I would highly discourage inviting students to your home. You need to keep your personal spaces personal. In our world today, inviting students to your home opens doors for too many opportunities to be accused of something negative. In this profession, you are guilty until proven innocent when it comes to accusations of inappropriate activities. All it takes is one student with an agenda to end what could have been a phenomenal career. Please rethink this idea. I found your article very informative with many great ideas. However, as a school principal, I have a problem with the last sentence in #13. I would highly discourage inviting students to your home. You need to keep your personal spaces personal. In our world today, inviting students to your home opens doors for too many opportunities to be accused of something negative. In this profession, you are guilty until proven innocent when it comes to accusations of inappropriate activities. All it takes is one student with an agenda to end what could have been a phenomenal career. Please rethink this idea. Fantastic ideas here! I think, we teachers sometimes get into such a routine and think that since we have always done things a certain way that we should continue for convenience sake. Therefore, we fail to read articles like this one. When in all actuality our routine may have become a rut. It’s great to look for ways to spice things up. Thanks for the amazing tips! Thank you for reading, Wendy! I found your article very informative with many great ideas.Definitely picked up on some strategies. I highly and sincerely recommend this site to any teacher. Thanks for the updates it has really improved my teaching skills. By the way, i think that funny teachers could be entertaining in class but in actual the strict or boring teachers help you learn the lesson the right way. Thus they are more influential then their counter parts. I read and loved your 15 patterns to have fun. I agree with you all points. I am an English Language Teaching in Pakistan. I Teach English in the Urdu language. I will try to apply all them. Thank you! Students often find lecture as boring and I agree wit the content of this article that an interesting tutor can make the lecture more interesting. Thanks for these tips. Being interesting and fun are two different things.